By October 1918, the Allied pushes in France and Belgium had placed the German army in a nearly untenable situation against their own borders. Their allies, the Ottoman Empire and the Austro-Hungarians were both less stable as their armies disintegrated and by the end of October, both countries had signed separate armistice agreements with the Allies on the Italian and Middle Eastern Front. Germany found herself completely alone, and facing social unrest and massive food shortages. The first German offers of peace came at the end of September, when the German high command recommended negotiating a cease-fire since they could not guarantee that the line could be held. The German insistence on peace terms negotiated to follow Wilson’s Fourteen Points meant that the armistice was delayed by over 5 weeks, as the Allies fought to implement harsher terms. Meanwhile, Germany faced a near mutiny in their navy, and as it became clear that the Kaiser was hampering negotiations more than helping, he was pushed to abdicate, which he did on 9 November 1918, fleeing to Holland. During this entire period, the fighting continued as the Allies continued to push further towards the German border. Thousands of men were lost in the increasingly bitter battles, including the war poet Wilfred Owen and many others. Finally, an armistice was negotiated and signed at 6am on the morning of 11 November 1918, with the official ceasefire to take place at 11am. But the fighting did not stop. In all, over 11 000 men became casualties on the last day of the war as officers pushed their men forward until the last minutes before the ceasefire. Many doubted that the armistice was in fact real, as trench rumours of a ceasefire had been passing back and forth between opponents for most of the month. Some even thought that it was a German rumour, designed to lure the Allies out into the open and slaughter them. However, at 11am the guns fell silent and the thousands of men in Flanders found themselves at the end of their war, after four long years. Guy Chapman describes the scene as one of fog and listless men, who felt “very old, very tired and very wise”(A Passionate Prodigality, 273), and many men simply went back to their dugouts and ate and slept, though civilian celebrations in Britain and her colonies were crowded, boisterous affairs. 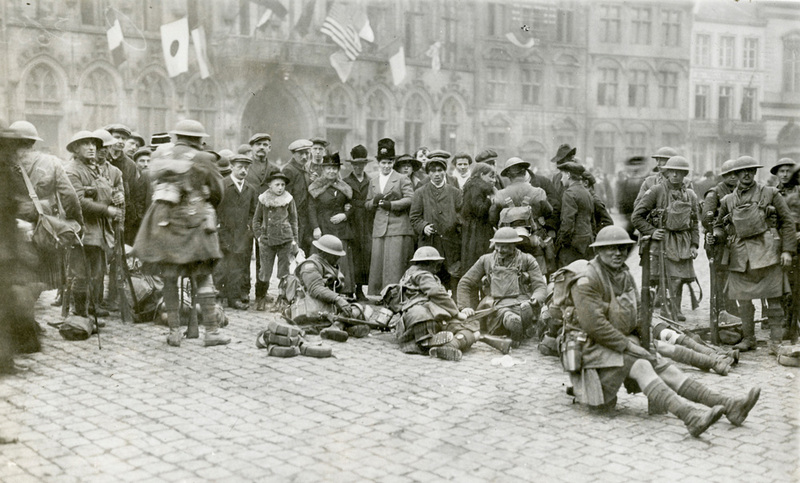 For many, the feeling of apathy about the war did not stop with the armistice. Acknowledgement of the war lagged for several years, even until the early 1920s when a concerted effort was made to construct memorials and ceremonies that honoured the war dead. For most soldiers, the war represented very little aside from their daily struggle to survive. There was no grand victory, the enemy turned out to be much like them and in the end Europe seemed to have stayed largely the same. If anything, the war left them unable to go home again, both literally and figuratively, as they found themselves in a changed world with little time for disabled veterans or those who could not hold down a job. Ultimately, the war ended as it began, as a consequence of the far-off decisions of far-off men. I would love to visit this wonderful centre, and thank you to Mr. Cahill for all your work. My grandfather lived in St. Henri and was killed in action in WW1 so this has much meaning to me also. I am so amazed that this is so close to where I live in Lachine. Please do come by, we’d love to know more about your grandfather’s story. My grandfather come over from Scotland in 1907. Joined the RHC Black Watch in 1917 and marched into Mons on Nov 11, 1918. Hope to do the same (although 100 years later). The Mons photo is one of our favourites. They look so tired.